The agreement between the UK and EU leaders to delay Brexit until the end of October is a compromise. British Prime Minister Theresa May had requested an extension to June 30. Some European leaders wanted a much longer delay; European Council President Donald Tusk had suggested the United Kingdom could remain in the European Union for up to a year. But French President Emmanuel Macron insisted on a tougher approach, including a shorter deadline. It’s the second time Brexit has been delayed. In March EU leaders agreed a shorter extension aimed at resolving matters before the European Parliament elections in May. 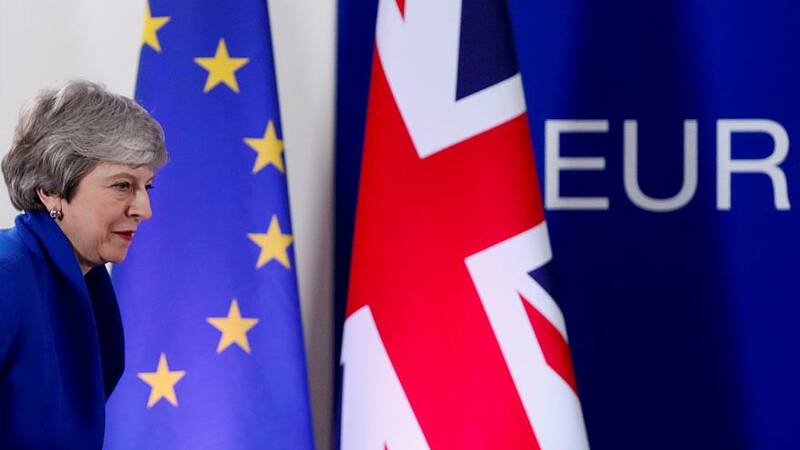 The European Council's statement says the UK and leaders of the 27 other EU countries have agreed to delay Brexit until October 31, 2019. The end date is several months later than the British government’s request for an extension until June 30. The official objective is to allow time for the Withdrawal Agreement to be ratified. The divorce deal struck by the EU and the British government has repeatedly been rejected by the UK parliament. The extension is flexible: dubbed a “flextension”, it means the UK could leave the EU earlier than October 31 if the exit deal is ratified. EU leaders have reiterated that the legally binding Withdrawal Agreement on the terms of the UK’s exit cannot be reopened; nor can the extension be used to start negotiations on future relations. However, the non-binding Political Declaration covering future ties may be reconsidered “if the position of the United Kingdom were to evolve”. Finally, EU leaders note the UK’s commitment to “act in a constructive and responsible manner” and refrain from disrupting EU business. Progress is to be reviewed at a European Council meeting in June. What does it mean for the EU? Until recently the other 27 EU nations had remained remarkably united over the Brexit saga. But the question of this second delay brought significant differences and fierce debate. Leaders such as Germany’s Angela Merkel and Ireland’s Leo Varadkar had called for patience, to allow the UK time and above all avoid a disorderly and costly no-deal exit. But French President Emmanuel Macron wanted a much shorter delay, fearing that the toxic British debate may infect the rest of the EU. The delay means that there will be no immediate disruption brought about by a sudden rupture between the UK and the EU, that would have overshadowed upcoming European elections. But the longer the UK’s future remains unresolved, the more it will hang over the EU’s future direction. Another cliff-edge could loom in six months’ time – just as some of the EU’s top positions are due to be filled by new faces. What will happen to the UK’s role in the EU? Unless the British parliament rapidly approves the withdrawal deal – and some believe it is already too late – then the UK will be obliged to take part and field candidates in the next month’s European Parliament elections. If the UK fails to hold these elections, the Brexit extension will cease on May 31 and the country will leave the EU. Although some EU figures had talked of curtailing Britain’s powers, the UK will keep its full rights and obligations as a member state. The extension agreement notes the UK’s “duty of sincere cooperation” and obligation not to obstruct EU decision-making. Fears that a Eurosceptic UK government may seek to cause trouble may have been tempered by the assurances May has signed up to. Another factor is that key EU decisions are either some way off, or do not require unanimous support. How are UK MEPs preparing for European Parliament elections? Does it help break the UK’s Brexit deadlock? The six-month extension is designed to put the Brexit ball firmly back in the UK’s court. “Please do not waste this time,” Donald Tusk said. The British parliament has been paralysed over how, or whether, the country should leave the EU. The House of Commons has voted down the UK-EU divorce deal three times. It is firmly against a no-deal Brexit, even passing a law aimed at blocking it, but has failed so far to agree on any alternative. The new delay relieves the immediate pressure: without this agreement the UK was due to crash out of the EU with no deal this Friday. But lifting the lid off the pressure cooker may also reduce the urgency to resolve the stalemate. The risk remains that the UK and the EU face the same cliff-edge in October. The previous deadlines of 29 March and 12 April failed to force parliament to agree a path forward. Talks between the Conservative government and Labour opposition to try to find a compromise deal are set to continue. But they may well founder. Theresa May says parliament has a duty to break the deadlock. But issues such as a customs union, a second referendum and a no-deal Brexit have been explosive for the main parties. Extra time could simply allow the various factions to retreat into their entrenched positions. What does it mean for Theresa May? The prime minister acknowledged the “huge frustration” felt by many people at the further delay. She has pledged many, many times to deliver Brexit. Recently she promised that “as prime minister” she would not accept any delay beyond June 30. But Theresa May has become well used to setbacks, government resignations, attacks from all sides, and – above all – defeats for her Brexit plan. Even her detractors admire her resilience. The delay gives her time to try to reassert her authority. Recently she has stopped beating her head against a brick wall in trying to win over diehard Brexiteers to back her deal, obliged instead to seek a wider consensus in parliament. However, her Conservative party has veered in an even more eurosceptic direction, with polls suggesting most members back a no-deal Brexit. They cite the prime minister’s previous assertions that “no deal is better than a bad deal”. Yet her recent moves have made it clear that she opposes leaving the EU without an agreement. Eurosceptics will no doubt step up manoeuvres to oust her; however, under Conservative Party rules, May is protected from another leadership challenge until December 12 – a year after the last attempt failed. Where does Brexit go now? After twice coming within days becoming reality, a “no-deal Brexit” is off the table, at least for the moment. Millions of citizens may be relieved that their rights remain in place, businesses that costly and chaotic new barriers are kept at bay. But nothing has been done to resolve the uncertainty, which has only been prolonged. Although they had seen it coming, pro-Brexit hardliners in the UK are fuming that the country is set to remain in the EU well over three years after the 2016 referendum. If the impasse continues, they may become emboldened as the October exit date approaches. However, the longer the process drags on, the weaker the mandate to leave the EU becomes – while calls for a second public vote are likely to become louder. The EU rules out fresh negotiations on the Withdrawal Agreement, meaning that the controversial Irish backstop – so hated by Brexiteers – remains in place. There is scope, however, for movement over future ties as outlined in the Political Declaration – if the UK can decide on a direction in which it intends to go. Is October 31 the final deadline? Not necessarily – which will no doubt compound the frustration for many. The fact the revised exit date coincides with Halloween has not gone unnoticed. But there is nothing in the new arrangement stating absolutely and definitively that the horrors will end there. It is quite possible that both sides find themselves in a similar plight in the early autumn – although the EU has a summit in June to take stock. Things may change of course, if for instance the UK approves the exit deal or decides on some, any, alternative course. Or if influential figures in the EU – the name of a certain Mr Macron comes to mind – decide that enough is enough.